This month, our guest speaker is Mike Shepherd. Mike is a serial entrepreneur and the founder of GrowthPoint Technology Partners, a technology investment bank that provides financial and M&A advisory services to technology companies. Through his work at GrowthPoint Technology Partners, Mike has helped numerous entrepreneurs weigh the pros and cons of various exit strategies and sell their companies. Join us on March 13 to discuss exit strategies for startups. Mike will share some of the insights gathered from his own companies and the founders he works with. We will also open things up to the group, so bring your questions! 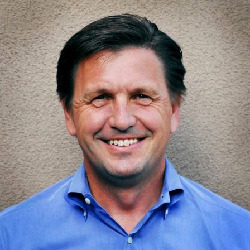 Mr. Michael Shepherd is the Co-Founder and Managing Director at GrowthPoint Technology Partners, LLC. He is an expert in software and service company growth, technology, marketing and finance strategy, software development and implementation, and acquisition and divestiture transactions. Mr. Shepherd has closed transactions with companies such as, BEA, Chordiant, Fair Isaac, IBM, Macrovision, Microsoft, Sun Microsystems, Symantec and Veritas. Before co-founding GrowthPoint Technology Partners, Mr. Shepherd was a principal at SVB Alliant advising on and executing software mergers and acquisitions transactions. Before joining Alliant, Mr. Shepherd was on the Nextera (a Knowledge Universe Company) executive committee and Managing Director of the Nextera Interactive division through to its IPO. Mr. Shepherd sold his prior company Pyramid Imaging Inc. to Nextera in 1998 where he was the founding President and CEO. Pyramid was a software and services company focused on financial services and utilities. Prior to Pyramid, Mr. Shepherd was a management consultant at Booz Allen & Hamilton in the commercial ISG practice under Ray Lane focused on business and IT strategy and a manager at Accenture in the Advanced Technology Group, where he led a team which built advanced technology prototypes as part of the sales process. He currently serves on the board of directors of OM Records.